Our team of lawyers help individuals and families throughout Los Angeles County with complex family law issues. Put the right attorneys with the right experience on your case. Our team will get you through it. Contact our firm to schedule your confidential consultation. We’re ready to get started. Our clients rely on us to simplify and solve complex financial and child custody issues. If you are considering filing for divorce or have other complex family law needs, you need a qualified professional to help you through the process. Without appropriate legal guidance, you could end up with a court-ordered arrangement that compromises your family's unique dynamics, endangers your financial interests, or inappropriately divides your business, intellectual, separate and community property. Your choice in legal representation during a divorce, parentage, or other family law matter could be one of the most important decisions you will make. 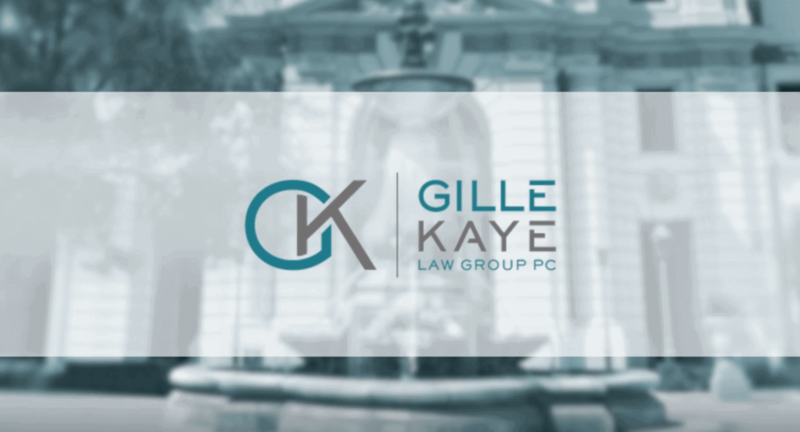 At Gille Kaye Law Group, PC, we strive to take the guesswork out so you can maintain peace of mind during the legal process..
Our family lawyers in Pasadena, CA proudly serve our local community. Contact us today for a consultation! Choose a team of Pasadena family lawyers who truly care about your rights and your future. Contact Gille Kaye Law Group, PC for a consultation at (626) 340-0955. Our Pasadena family law attorneys are dedicated to winning maximum monetary awards and protecting your children's interests. Our team is headed by a Certified Family Law Specialist and handles all types of complex divorce and parentage cases, Call us when the complexities of your case seem too much for other attorneys you have consulted. In our initial consultation, and ongoing throughout the length of your case, we will discuss and update the range of negotiation and litigation approaches most appropriate to resolve your unique issues, obtain your goals, and stay within your budget. We have long experience with credibility investigation, business and other property valuation, hidden and changing income, and complex children's issues such as alienation, move-aways, and negligent parenting. Our background and reputation will help you trust us to handle your difficult case. Our attorneys have decades of combined experience in the court room, and are known in the legal community as frequent authors and lecturers. We have been on the boards of top legal organizations, have co-chaired Minors At Risk Caucus, and we author the psychological and medical privilege chapter in the LA County Bar Association's long-standing textbook on family law issues. We apply our experience and our attention to detail in providing you with the favorable settlement you deserve, or, when settlement is not possible, we carefully craft your litigation plan to help you win at court. When you need assistance with settlement and trial litigation, call us for an initial consultation to discuss the complexities of your case. We are backed by some of the most talented, experienced, and respected attorneys in Los Angeles. Between the members of our staff, we have firm and positive grips in the worlds of divorce, child custody, minors' counsel, and family law. Our firm provides the tough advocacy you are looking for in a local, Pasadena environment. While disappointment may be a common denominator in many divorce cases, it’s one of the few things they do have in common. With each case, there are a number of factors and moving parts that make it unique from any other before it. We make it our priority to treat you as an individual throughout your dealings with us, so that we can gather, consider, and effectively navigate each of these unique factors. In operating this way, we are able to deliver personalized results that reflect your biggest concerns and goals. You will enjoy our ability to provide large firm results as well as small firm client-focus.